Things got heated between the Raptors and Cavaliers on Monday. Raptors forward Serge Ibaka and Cavaliers forward Marquese Chriss got into to a skirmish during the third quarter of the contest. Both were ejected from the game and later suspended. Ibaka has been suspended three games by NBA for the altercation while Chriss received a one-game suspension, the league announced Tuesday. 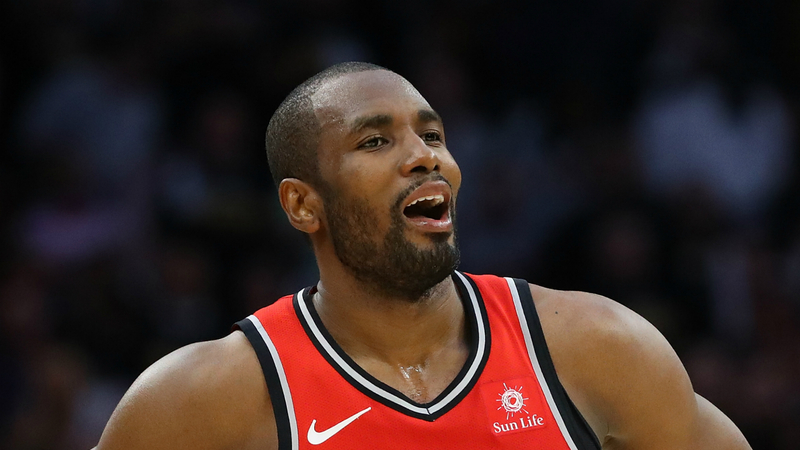 #Raptors big man Serge Ibaka and the #Cavs' Marquese Chriss throw punches at each other in a heated fight in Cleveland. Ibaka appeared to grab Chriss' neck during a dead ball and the two proceeded to exchange blows. The Raptors trailed 91-77 at the time of the incident and entered Monday on a two-game winning streak. Cleveland went on to claim a 126-101 victory. The Cavaliers snapped a two-game losing streak in their win over the second-best team in the Eastern Conference.